Oh, hey Vegan Mofo people. So I was warning folks earlier this week that most food I’ve cooked lately has come in bowls. And I wasn’t even kidding. The top rack of my dishwasher is full of bowls and there are two plates in the bottom part. Ridiculous. But something about the turn to Fall makes me immediately start craving soups and stews. And it isn’t even really cool yet. It’s just no longer unbearably hot. Which is a good thing. 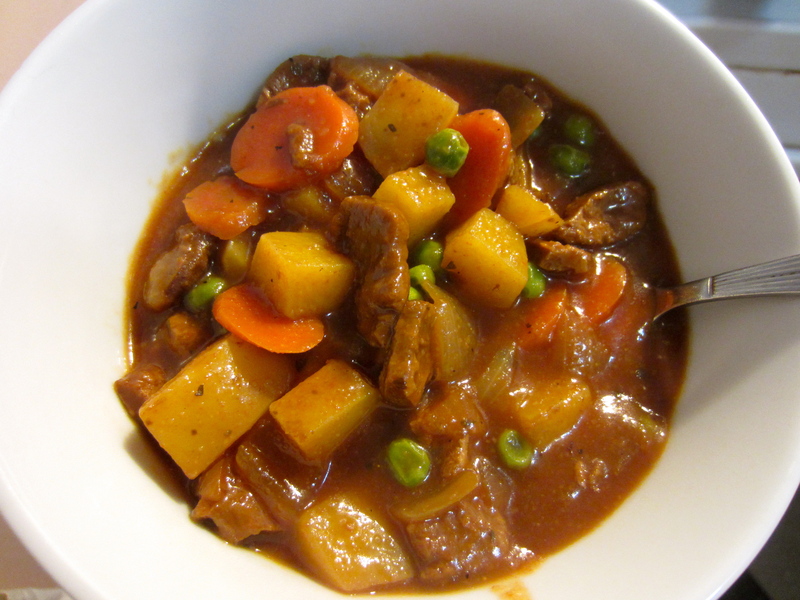 There are a few beefy type stews I enjoy making. This happens to be the one from Vegan Vittles, the Chuckwagon Stew. Instead of the tempeh, I used about a half a cup or so of dehydrated faux beef chunks and just tossed them in and let them rehydrate in the stew. I also tossed about a half a cup of frozen peas in towards the end of cooking for extra vegetabular goodness.